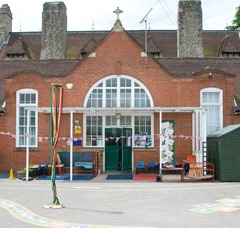 Surrey Hills All Saints Church of England Primary School is split across two sites one in the heart of Westcott and the other in nearby Abinger Common. With their team of dedicated and enthusiastic staff they set high expectations with a belief that every child can achieve. This coupled with wonderful grounds across both sites provides a purposeful atmosphere, enabling effective teaching and learning to take place. Their bespoke curriculum promotes children’s values, a range of life skills and a love of learning. As a church school, they actively promote the development of Christian values and citizenship skills, equipping pupils for life in the wider world. The Head Teacher is Jennie Ratcliff. The Ashcombe School is a comprehensive school with both a main secondary school and a Sixth Form, it has a strong pastoral system and a wide range of extracurricular activities. Their facilities include a Sports Hall and an Arts Centre for Music, Drama and Art. Alison Reed and Chris Panting are both Joint Head of School with David Blow as Executive Head Teacher. The Priory School is a Church of England Voluntary Aided school, with both a main secondary school and a Sixth Form. The Head Teacher is Mrs R Gibb. For schools that cater for special educational needs please see the list maintained by Surrey County Council www.surreycc.gov.uk under schools and education. For details on colleges and universities in the area please see the details maintained by Surrey County Council www.surreycc.gov.uk under colleges and universities. For details of Adult Learning in the area please see the details maintained by Surrey County Council www.surreycc.gov.uk under Adult Learning.